Meeting Minutes – July 2016 | F.F.A.M. 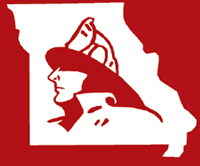 President Kenneth Hoover called the meeting of the Board of Directors of the Fire Fighters Association of Missouri to order at 9:00 a.m., Sunday, June 5, 2016 at the Missouri State Fair Fire Department in Sedalia, Missouri. Kenneth Hoover, Little Dixie FPD; Second Vice President, Charlie Neubert, Highlandville Rural FPD; Secretary Treasurer, Jaime Miller, Johnson County FPD; Sergeant-at-Arms, Rex Reynolds, Southern FPD of Holt County. District 1, Terry Wynne, Galt FPD; District 2, Greg Wright, Shelbina FD; District 3, Larry Jones, Madison West Monroe FPD; District 5, Terry Plumb, Southern Stone FPD; District 6, Gary Berendzen, Cole County FPD; District 7, RB Brown, Eureka FPD; District 11, Monty Thompson, Kearney FPD; District 14, Rick Dozier, Southern FPD of Holt County. District 1, Janet Cain, Braymer FR; District 3, Rob Erdel, Little Dixie FPD; District 4, Jonathan Evans, Lincoln FD; District 5, Shelby Phifer, Southern Stone FPD; District 10, Greg Brown, Eureka FPD; District 14, Glenn Dittmar, South Central Buchanan County FD. Past President, Keith Smith, Warrenton FPD; Greg Carrell, Brenda Carrell, Missouri State Fire Marshal; Gail Hagans, MU FRTI; Larry Jennings, Larry Eggen, Joe Jennings, Johnson County FPD; Grant Oetting, Higginsville FPD; Darrell Wright, Chillicothe FD; Billy Smith, North Central Carroll FPD; Blake Beahler, Salisbury FD. There were no minutes to approve. The 2016 convention meeting minutes will be presented for approval at the 2017 convention. President Hoover asked for a review of the April-May 2016 financial report. Larry Jones moved to accept the financial reports as presented. Charlie Neubert seconded the motion and all approved. Gail Hagans with MU FRTI reported that Summer Fire School will be this week. There are several new classes being offered however, registrations are down. 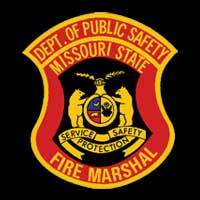 Greg Carrell, Missouri State Fire Marshal, reported that the Driver Operator certified course is new to Summer Fire School this year. The Fire Marshal’s office is preparing to review training proposals. There are several interested vendors and his staff will work harder to get the available trainings on their website. Kim Becker will be retiring July 1 which will leave another vacancy in the agency but everyone is working hard to ensure everything continues running smoothly. There will be state representation at the Missouri State Fair and the agency does have extra funds available to assist the Missouri State Fair Fire Department with purchasing promotional giveaways. Secretary Miller advised that she is still housing the large old display that was previously used for trade shows. Discussion followed regarding the future use of the display. Monty Thompson moved that the display be disposed of as necessary. Rick Dozier seconded the motion and all approved. Rob Erdel advised that he has old FFAM logo decals, banners and other miscellaneous items that were being stored in the contest trailer that have no future use and are available to anyone who might need them. Larry Jennings advised that nominations are being accepted until February 28. 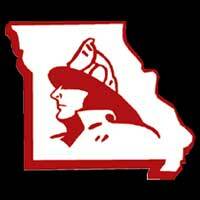 It was reported that the Missouri Fire Chaplain Corp conference was held May 2-3 in Springfield. Jim Cummings has been appointed as the new state director. Rob Erdel reported that everything went well with the contest and no funds were spent. The committee is currently working on scoring changes. Larry Jones advised he has not yet received a report from the Lake Area Emergency Services Association. Chief Darrell Wright with Chillicothe FD presented a proposal to the board to host the 2018 convention. Their department is open to dates and will try to be cost effective so more can attend. The convention committee has read the proposal and recommends its approval. Larry Jones moved that the 2018 convention be hosted by the Chillicothe FD. Terry Plumb seconded the motion and all approved. The final approval will go before the delegates of the 2017 convention. Larry Jennings, chairman of the 2017 convention committee, advised that the 2017 convention committee will be having a planning meeting after today’s business meeting. For anyone interested in advertising, pricing will be out this week. Rick Dozier reported that the board of directors class held at convention had 32 participants. He requested a one-time approval of an additional $1,000 to pay for the class. Monty Thompson moved for a one-time $1,000 be approved for the education committee to pay for the board of director’s class. Terry Wynne seconded the motion and all approved. RB Brown reported that the poster winners have been notified and will be notified again when dates are available for them to attend the state fair. Greg Brown reported that they are still waiting on the Governor to sign the bill releasing $40,000 of additional fire training funds. SB732 is still moving through legislation which includes language that would allow ambulance services to recoup more money from Medicaid. It also allows first responder agencies to bill Medicaid as well. There is also legislation in the works that would require mandatory elder abuse reporting requirements. There are bills introduced that would make it a misdemeanor to interfere with law enforcement on traffic stops. A bill to remove the sunset on the use of mandatory residential sprinklers is being discussed. LODD language did not pass and a 911 cell phone tax did not pass. There are also proposals regarding tax deductions for training for volunteer firefighters. 2nd VP Neubert reported the following membership counts: 475 Directors/Councilman; 267 Retired; 13 Associate; 13 Sustaining; 18 Corporate, 374 Departments; 6900 Active; 10 Educational; 26 Juniors. Keith Smith reported that there are still two open director positions with no new nominations. Keith Smith reported that the NVFC is working on insurance process and they are also working on having a greater presence at national trade shows. Monty Thompson reported that they held a work weekend that went very well. The next work weekend will be July 15-17. 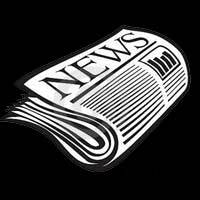 Gail Hagans advised that due to the July 4 holiday, the submission deadline for the next newsletter is June 27. Grant Oetting reported that the family of Joe Jackson has contacted him regarding items to be donated to the museum. He and Kay Asher are planning to get the items in July. Greg Wright reported that the team assisted with a paramedic LODD in Festus along with the EMS funeral team. 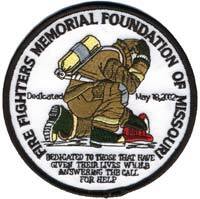 There will be a Missouri Public Safety Weekend Heroes Tribute Gala October 21-23 at Lodge of Four Seasons in Osage Beach. There will be free training available and everyone is welcome to attend. Billy Smith with North Central Carroll County FPD thanked the team for their assistance with Roger Maddox’s services. Ken Hoover advised that the 1st Sunday morning of the state fair there will be services recognizing those members who have passed away. Keith Smith reported that the foundation’s next meeting is June 26 at 1:30 p.m. and is open to the public. Approximately 200 attended the candlelight service and approximately 400 attended the Sunday morning service. Five LODD were honored. He reminded everyone that there is no statute of limitations on honoring LODD. The foundation was tasked with assisting with the needs of several families who were attending the services and he thanked all those who worked behind the scenes to make everything happen. He reported that Ron Baker is now the treasurer for the foundation. There is still one opening left on the foundation board to be filled by an FFAM member. He currently only has seven names of firefighters who have passed in 2016. He encourage people to notify him in the event of a firefighter’s passing. They will go back three years on honoring an individual who has passed. Discussion has been held on the museum ground breaking and he may have more information after the next foundation meeting. Charlie Neubert moved to adjourn the meeting. Jonathan Evans seconded the motion and all approved. President Hoover adjourned the meeting at 10:20 a.m.